Mark Redwine, charged for the death of his son Dylan Redwine, stands and listens to 6th District Court Chief Judge Jeffrey Wilson, during an advisement hearing in August, 2017, at the La Plata County Courthouse. 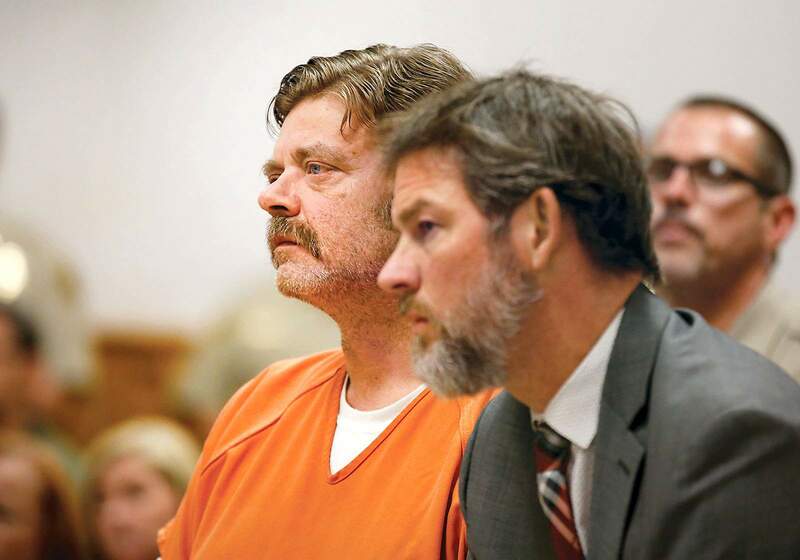 Mark Redwine, a Vallecito man accused of killing his 13-year-old son, Dylan, is appearing this week and next week in court for a two-week motions hearing to determine what will be allowed at trial and where the trial will be held. Chief District Court Judge Jeffrey Wilson began hearing from lawyers about the admissibility of evidence and statements made to police Monday morning, the beginning of what is expected to be two weeks of hearings on hundreds of motions made by the defense and prosecution. Those motions span a range of topics, including whether certain statements or evidence should be suppressed, whether the trial should be moved to a different judicial district and whether the case should be dismissed outright based on the fact that it took five years for an indictment to be filed. Redwine appeared engaged in Tuesday’s proceedings, often writing notes to his attorneys on a legal pad. In the past two days, attorneys have examined and cross-examined law enforcement officers about how they obtained statements and evidence from Redwine over the course of the five-year investigation into his son’s disappearance and death. Defense attorneys attempted to convince Wilson that statements made were either coerced or obtained improperly. 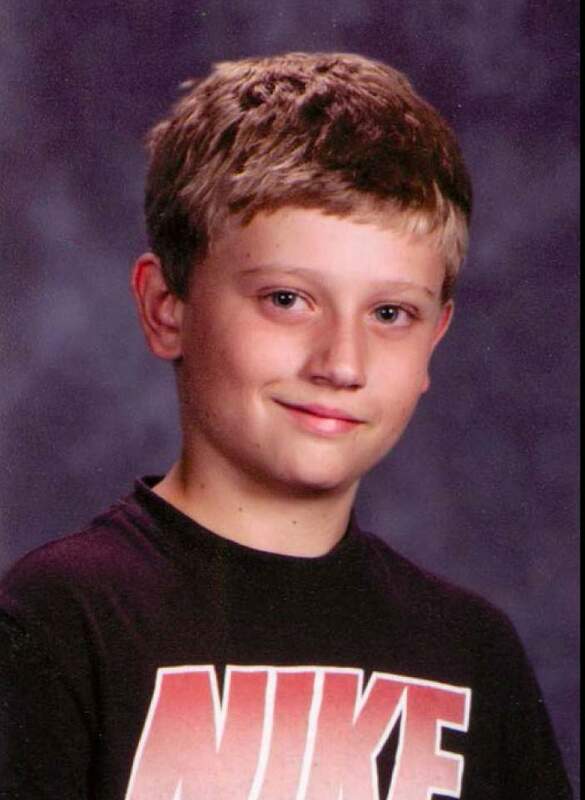 Dylan Redwine disappeared in November 2012 while visiting his father in Vallecito. The boy’s partial remains were found in June 2013 about 8 miles up Middle Mountain Road, near his father’s home. Dylan’s skull was found in November 2015, about 1½ miles from where the boy’s partial remains were found. Forensic anthropologists found signs of trauma on the skull. Redwine was arrested in July 2017 in Bellingham, Washington, after a grand jury indicted him on charges of second degree murder and child abuse resulting in death. He is being held at the La Plata County Jail on $750,000 bail. Redwine pleaded not guilty June 29. He faces 16 to 48 years in prison if found guilty of the charges. Investigator Tom Cowing testified Tuesday that he met with Redwine between 20 and 25 times over the course of his investigation. Redwine was never detained during any of those meetings, and he was allowed to leave each conversation voluntarily, Cowing testified. Cowing also enlisted the help of a clerk at a Vallecito grocery store, whom Redwine spoke with often, to record Redwine – conversations that defense attorneys argue should be inadmissible as evidence. The clerk was working as an agent of the government, defense attorneys argued, and therefore should have identified herself as such. Defense attorneys also tried to throw out evidence from a cadaver dog, Molly, who indicated there was evidence of human remains in Redwine’s house. Defense attorneys suggested the evidence was obtained illegally, saying law enforcement were not explicitly permitted to enter the residence and were unclear about what exactly the dog was searching for. Wilson has withheld ruling on many of the motions, meaning he is going to take them under advisement and issue rulings at a later date. But he did rule to allow a two-part segment of the “Dr. Phil” show into evidence. The shows aired in May 2015 and featured Mark Redwine, his ex-wife, Elaine Hatfield Hall, and Dylan’s older brother, Cory Redwine. Both Hatfield Hall and Cory Redwine were present at Tuesday’s hearing. “We’re here to support Dylan,” Hatfield Hall told The Durango Herald. Judge Wilson scheduled two weeks to hear motions. A four-week trial is scheduled to begin Feb. 25.